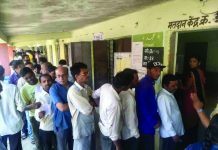 The people of Uttar Pradesh are crazy to witness how the last minute entry of Priyanka Gandhi into the political arena could change the political fortunes of the Congress, the grand oldest political party of the world’s biggest democracy that is going to poll in seven phases from this month for deciding political destiny of the nation. The people of this state are keenly watching new experiment of Congress party that had its deep roots and immense contribution in the freedom movement. After the demolition of Babri Mosque in Ayodhya in December, 1992 the party had gone in oblivion and its active cadre force disintegrated and broken away to other political parties that ruled the state from time to time. 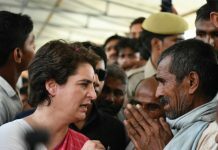 The presence of Priyanka has electrified the Congress traditional cadre that has gone into deep inertia in wake of its successive debacles in past. However, the party appears to be still far from moving on to the fast track due to continuous delay in deciding its contestants to organise a blistering electoral campaign. The Congress party had already lost precious time in getting itself into the act. 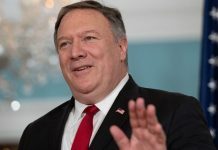 Now, with less than two months left for the final face-off, Congress was expected to be not wasting any further time in drawing up a blue-print at least for reorganization of the party at the state level. Priyanka’s marathon meetings at the state’s headquarters in Lucknow, where she spent four hectic days, did send the message down the line that she meant business while signaling everyone to pull up their socks. Yet, what continues to be anxiously awaited is creation of a team with clearly laid out assignments. All that has happened ever since Priyanka held prolonged meetings with different sets of her party leaders and workers in Lucknow is the appointment of six secretaries. 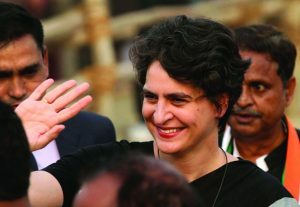 They have been divided into two teams of three each to assist both Priyanka and Jyotiraditya Scindia, who has to look after campaign in the western Uttar Pradesh. It is not hidden that faction-ridden state leadership of Congress party had ruined its grassroots structures as neglected workers have developed cold feet and confined themselves to their homes. This is most challenging job to reunite them and use as their cadre to spread their massage. Now with Priyanka in place, they would undoubtedly sink their personal differences and rise to the occasion. However, what seems to be lacking is any kind of guidance or direction from the central leadership. Well, Priyanka did make it a point to make it loud and clear that she should not expected to do any magic. And that was being construed by insiders as a message that her agenda was to rebuild the party for the next state assembly election in 2022. Ever since Rahul Gandhi took the call to let Priyanka take the final plunge into the murky politics on the eve of the 2019 Lok Sabha challenges, Congressmen hopeful to see some wonders. No one can overlook her potential to do the wonder for the party, but that potential cannot be put to any risk. Perhaps this dilemma pushed the party into uncertainty among its workforce. With just two of the 80 UP Lok Sabha in its 2014 kitty, undoubtedly, the Congress party has an uphill task ahead to improve its tally. At the same time, it is worth recognizing potential in the great old party, which had thrown surprise in 2009 when it conquered 21 constituencies with just meager vote share of 18.25 percent, the highest on that scoreboard. And it was due to the sudden shift of the minority vote from the Samajwadi Party. Evidently, SP lost its goodwill with Muslims primarily because of Mulayam Singh Yadav’s earlier decision to shake hands in the state election with Kalyan Singh, who had marched out of the BJP to form his own political outfit. It was Kalyan Singh’s branding as the architect of the demolition of Ayodhya’s Babri Masjid, that led Muslims to abandon Mulayam and switch to the Congress. Muslim face of BSP Naseemuddin Siddiqui has now joined hands with Congress party. The SP-BSP alliance has undermined the strength of Congress party and spared only two seats of Amethi and Rae Bareli for them. Offended by such a move Congress has decided to fight on its own strength. The party has set at rest the speculations about Priyanka Gandhi’s candidature in upcoming elections. Now all the top line leaders from the state are contesting Lok Sabha seats. The first list of Congress party has made it clear that Priyanka will see all war-room strategy and do extensive campaigning. Her mother Sonia and Rahul will contest from Rae Bareli and Amethi. Besides them Salman Khursheed, Imran Massod, Saleem Iqbal Sherwani, Nirmal Khatri, Annu Tandan, RPN Singh, Rajaram Pal, Brij lal Khabri and Jitin Prasad have been given tickets considering its safe seats. The delay in deciding the candidates for Lok Sabha elections create a buzz in the corridors of power that some back channel talks for tactical alignments on some seats is in the process to take on might of BJP.